This scholarship of $1,000 will be awarded to one student per semester who is currently pursuing a Bachelor’s or Master's degree in computer science, information systems, computer engineering, business technology administration or a related IT field. According to a recent study by the American Association of University Women, women make up over half of the population however, only 13 percent of engineers, 28 percent of software roles and 25 percent of IT positions are held by women. Additionally, over the past 30 years, women completing technology degrees have continued to significantly decline, perpetuating the underrepresentation of women in technology careers. 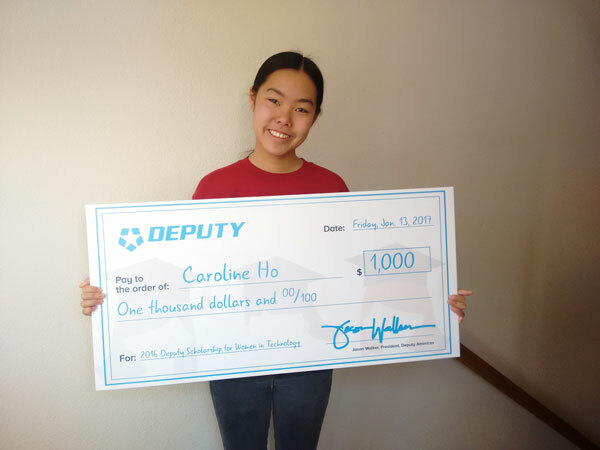 Deputy encourages young women to “lean in” and fill this gender career gap by providing the Deputy Scholarship for Women in Technology to help remove some financial obstacles and enable a passionate female student to dedicate their time to succeeding academically and in their future technology career. What Majors or Minors are Eligible? 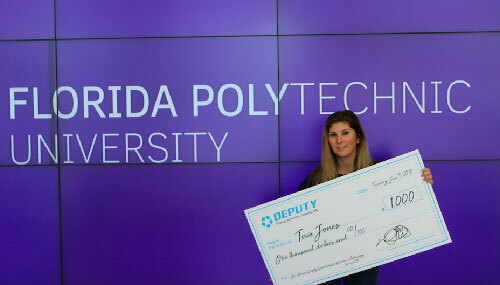 To apply for the Deputy Scholarship for Women in Technology, please complete our online application. 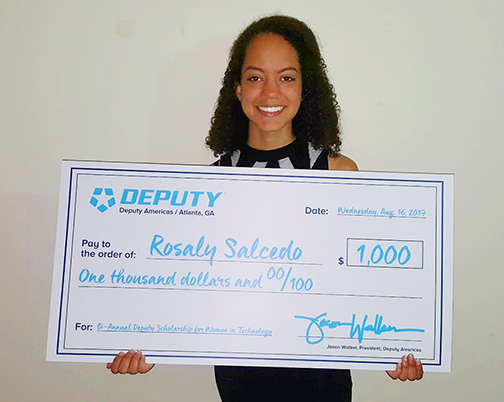 The Deputy Scholarship for Women in Technology is open to all full-time students enrolled at an accredited public or private (non-profit) US-based college or university with a GPA of 3.0 or greater. Majors or Minors eligible are Computer Science, Technology, Computer, Information Systems, Information Technology, Software Engineering, Cyber Security, and Multimedia Computing. Any other technology programs not listed and will be considered upon review process by selection committee. Applicant must be a student or be accepted to begin college or university within 6 months of application. Scholarship winner is determined solely by our selection committee. All decisions of the selection committee are final. All funds will be dispersed to scholarship recipient within two weeks of scholarship award acceptance via preferred payment method of check or ACH payment of $1,000 to the student's personal bank account or via preferred payment guidelines of university. We will not sell the information you submit with your scholarship application to any third parties. The information you submit will be used only for determining the scholarship recipient and deleted after the selection period. Scholarship award recipient information may be used for public relations purposes; only with written consent by the recipient.